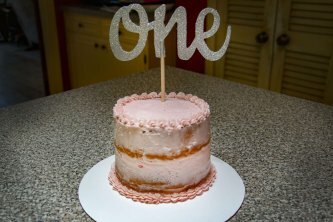 Proudly Wichita's first vegan and gluten free bakery! We've taken all your favorite goodies and made the into non-gmo, vegan friendly treats. We are proud to be Wichita's first Vegan Bakery! Our goal is to make usually non-vegan baked goods into non-GMO vegan-friendly baked goods. After meeting our wonderful customers who expressed the need for Gluten Free baked goods we took some time and learned how to transform our menu so that almost everything on it can be made not only Vegan but Gluten Free. We also are proud to be able to accommodate other food sensitivities such as soy free, corn free and nut free. We strive to be your one-stop bakery for your whole family. Currently, you can find our products at Old Town Farmers Market, Sente Games and Refreshment, Songbird Juice, Jane's Landing and Sunflower Espresso and we are also happy to take any special orders! Call or Text us at 316-519-1339 to order today!